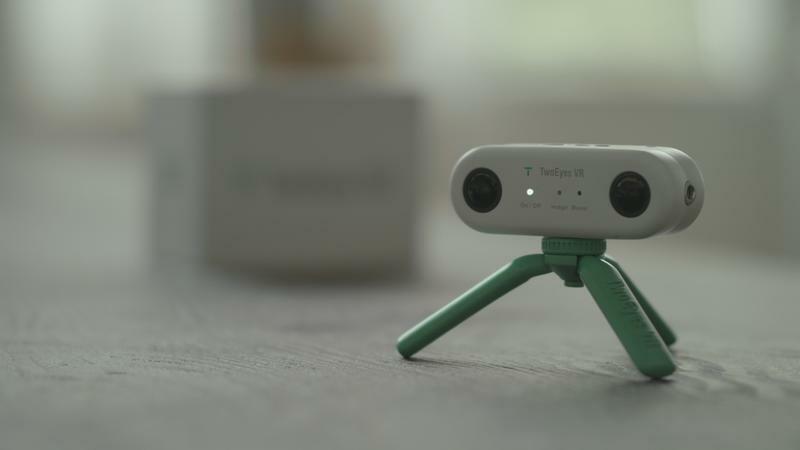 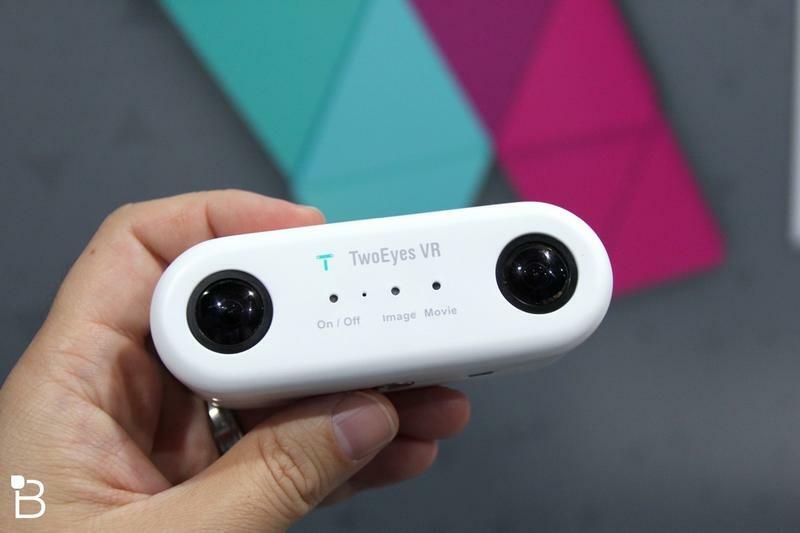 TwoEyes VR, developed by South Korean company Arc Interactive, is a new camera that captures and broadcasts 360 degree, 4K and 3D video. 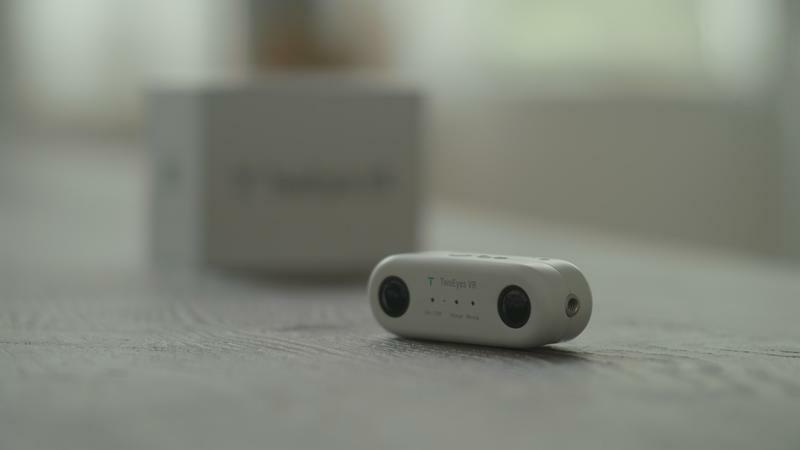 While the camera feels much more like a “regular” camera, it is capable of much more. 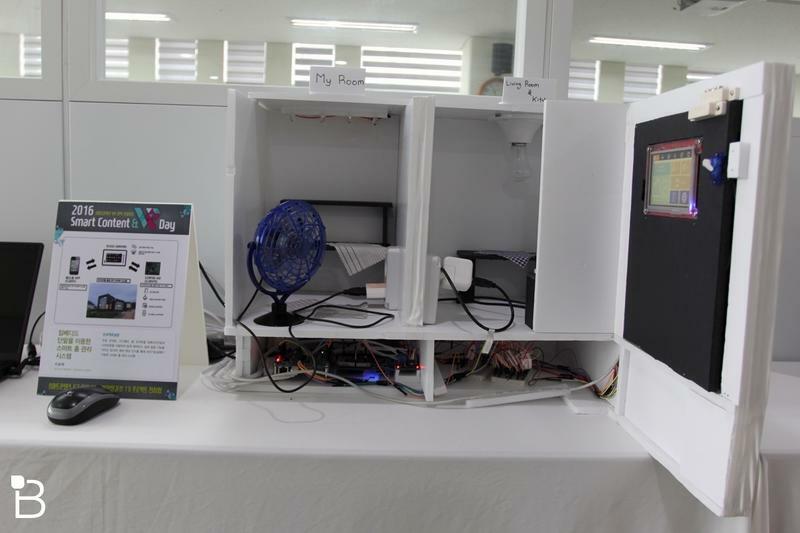 Its capacity is quite remarkable, considering the small form factor. 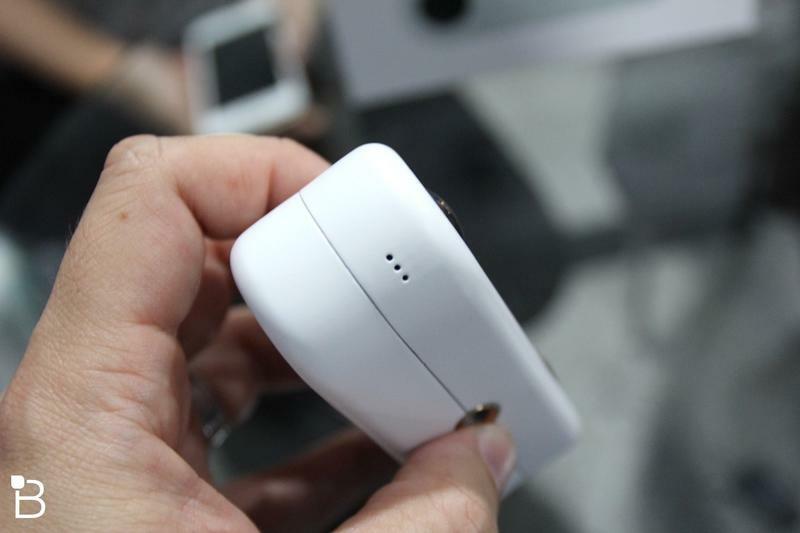 It’s also easy to use, with just a photo or record button operation. 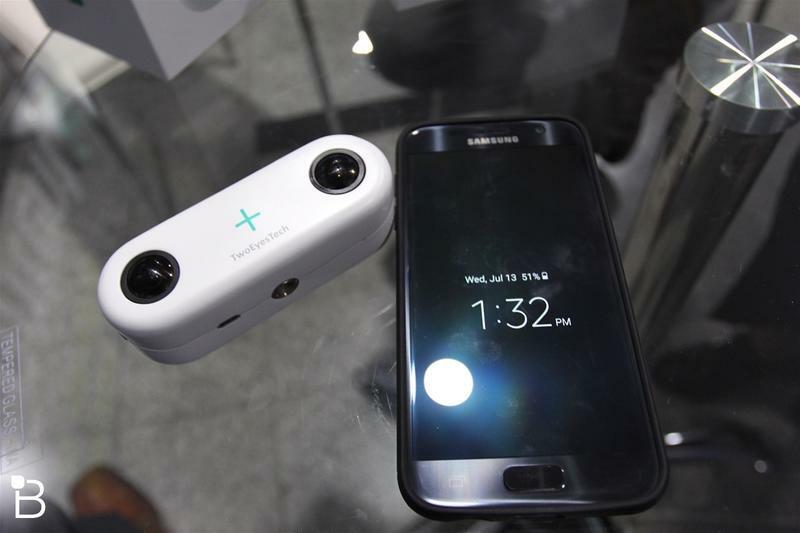 Its squarish design is meant to be familiar like a point and shoot camera, too, which should make it appealing average users. 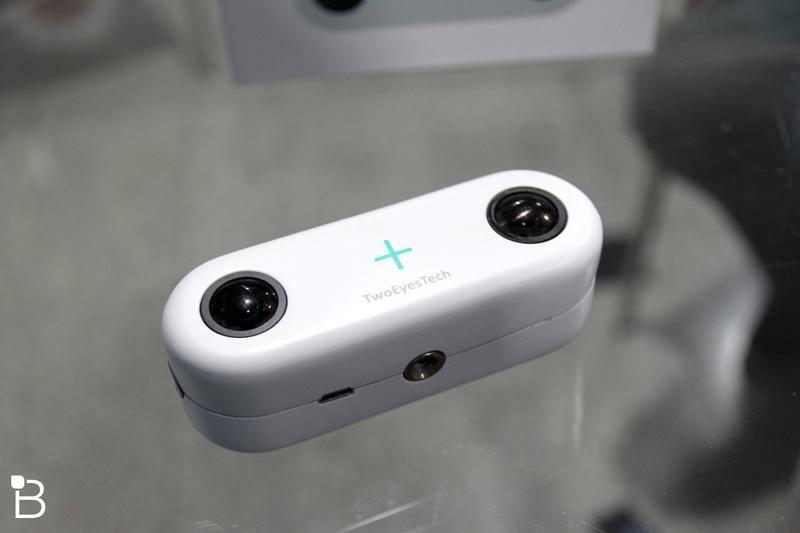 The 360-degree, 3D VR, high-resolution (3840 x 1920 @ 30 fps), live-streaming camera aspect appears to be a big selling point to the market. 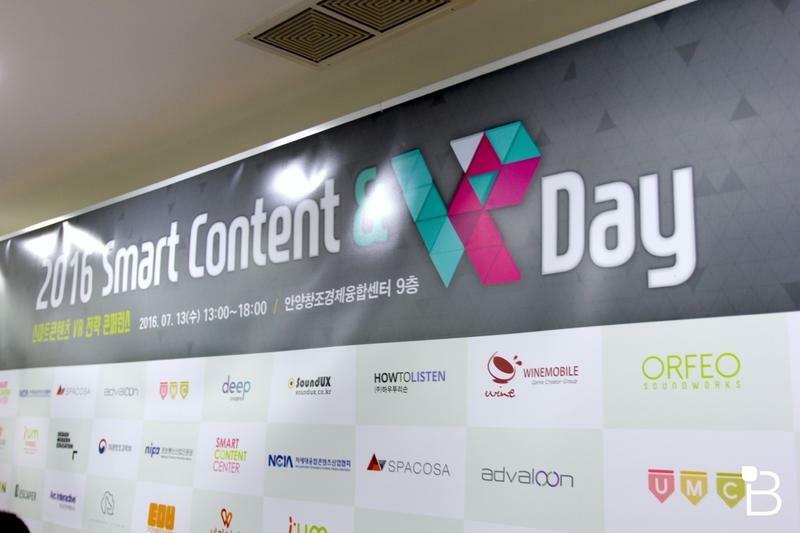 After all, content is king. 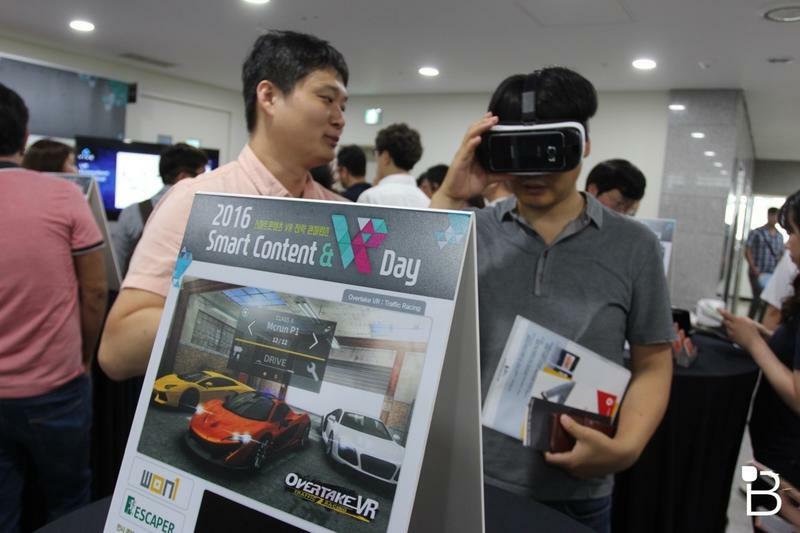 What’s the point of having a cool technology like VR if you don’t have great content? 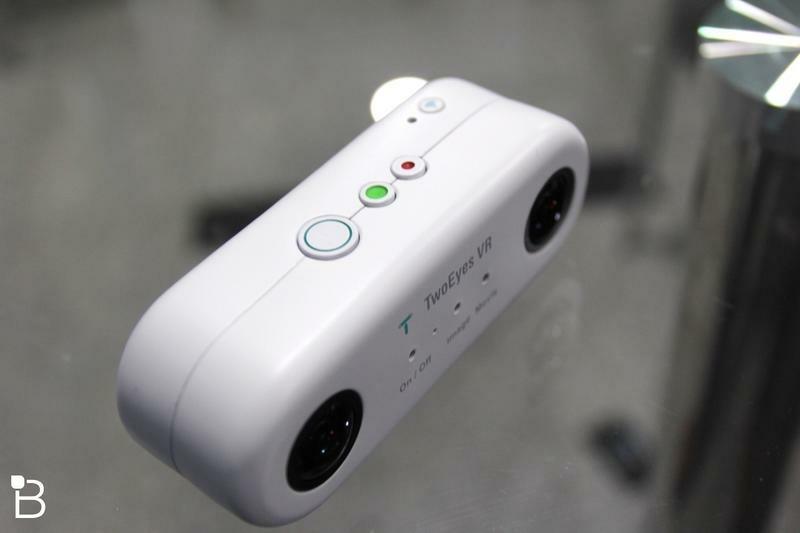 3D is the differentiator among other 360 camera solutions. 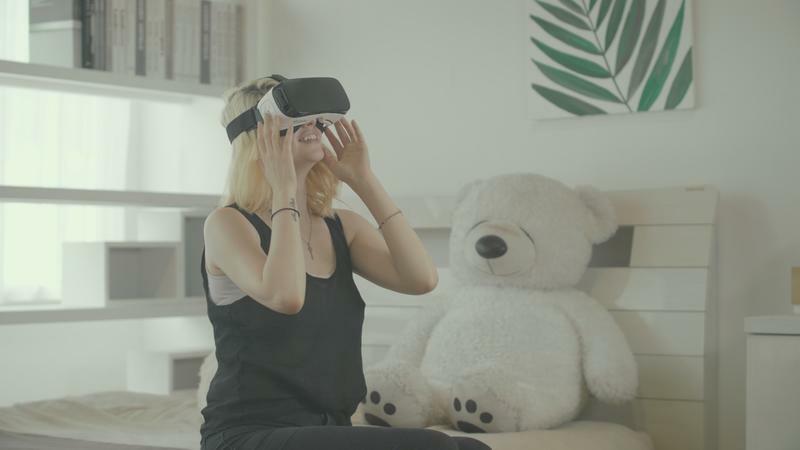 As the company’s CEO points out, VR is truly appreciated when you can step into a world where you can nearly reach out and feel the dimensions of a near real-world experience. 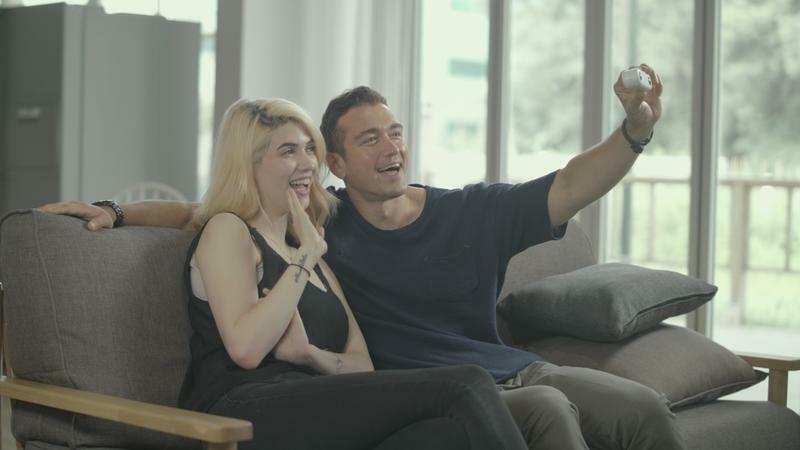 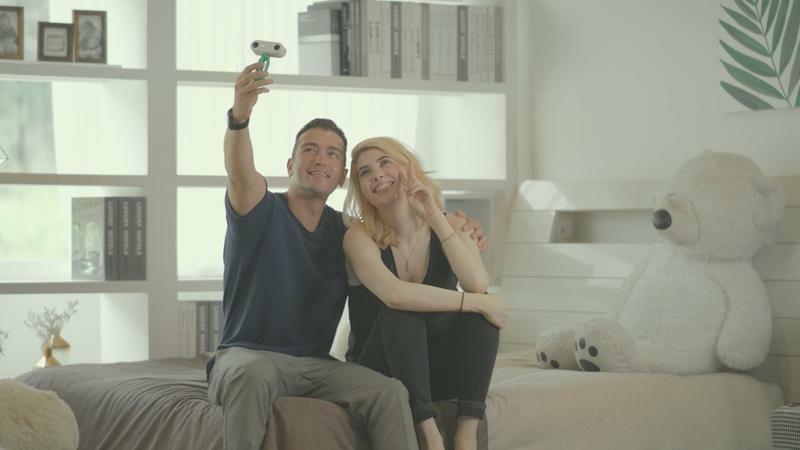 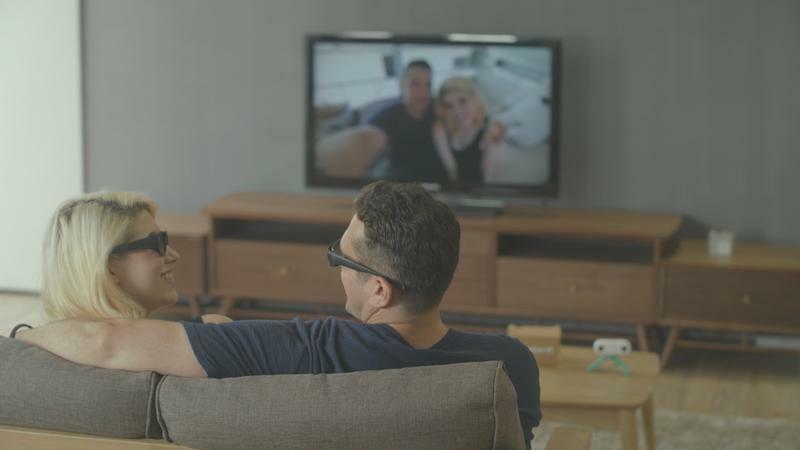 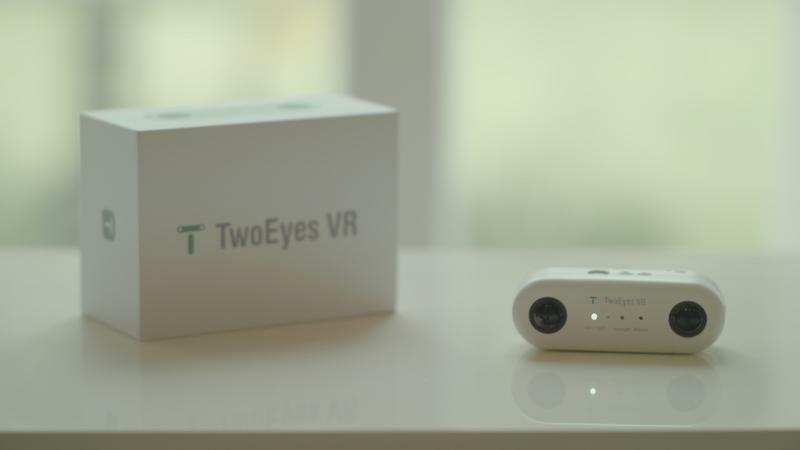 Other options on the market are truly 2D experiences, despite the VR moniker. 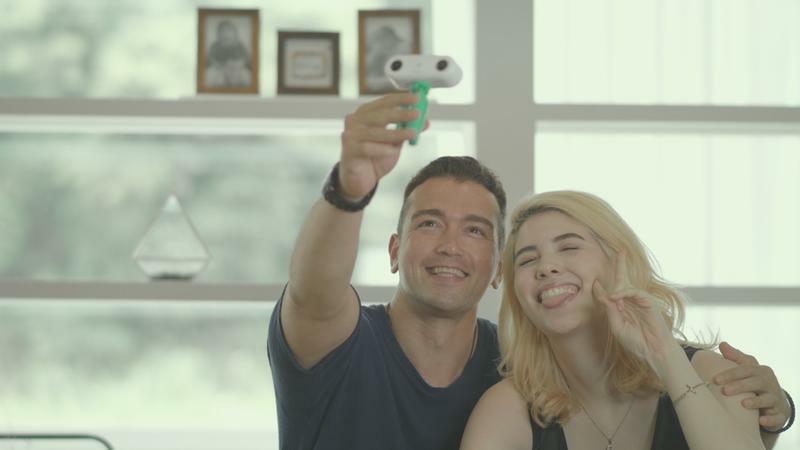 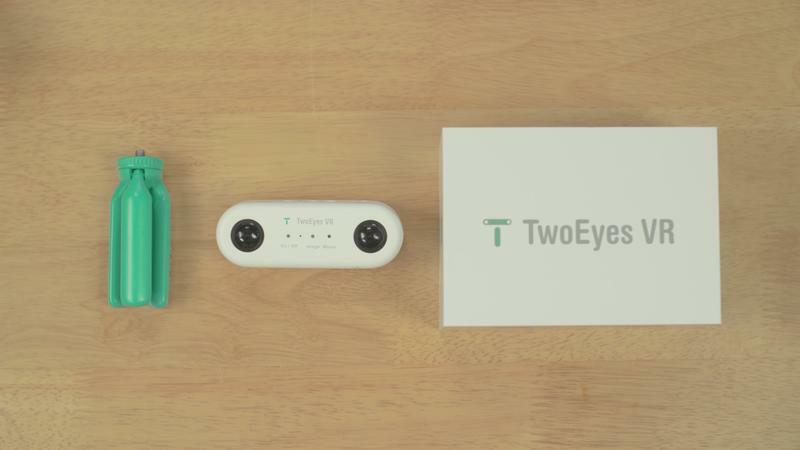 You could choose to capture content with just two lenses for “one eye” mode by holding the camera vertically or, conversely, holding it horizontally will enable all 4 cameras to work together to capture “two eyes” mode; the gyro sensors will figure out the orientation. 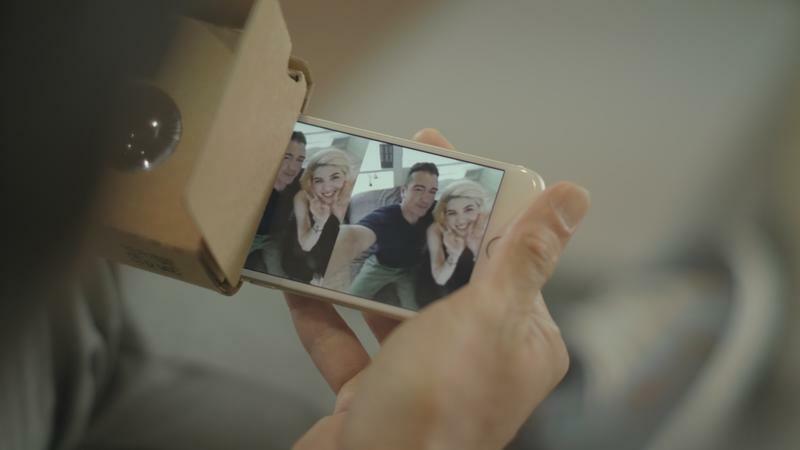 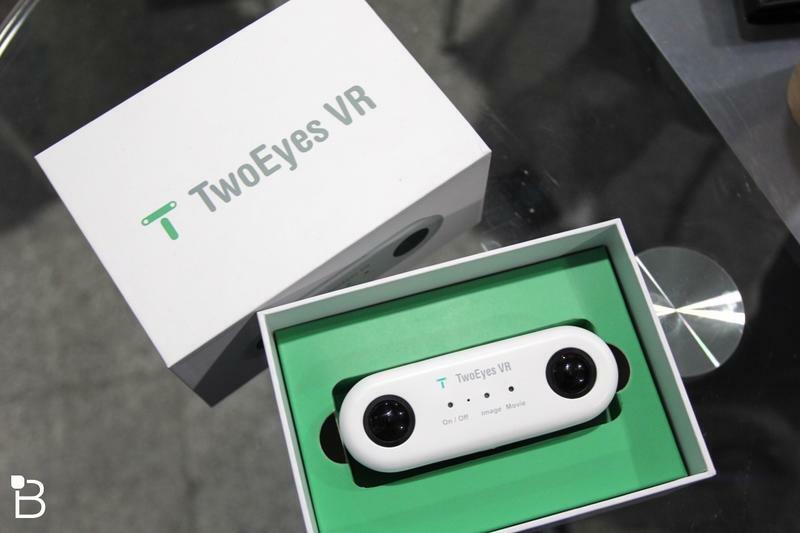 TwoEyes VR can livestream to Facebook and YouTube in addition to capturing video on its onboard storage. 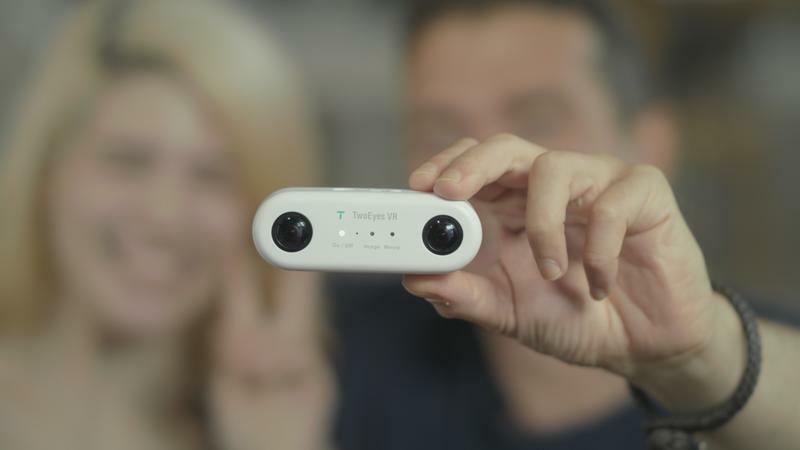 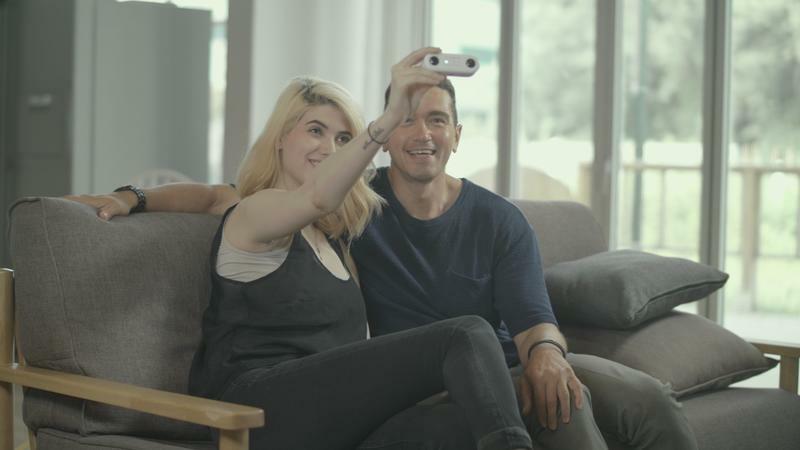 We had a chance to check out the footage from the working demo and the video looked excellent, especially considering the camera’s small form factor. 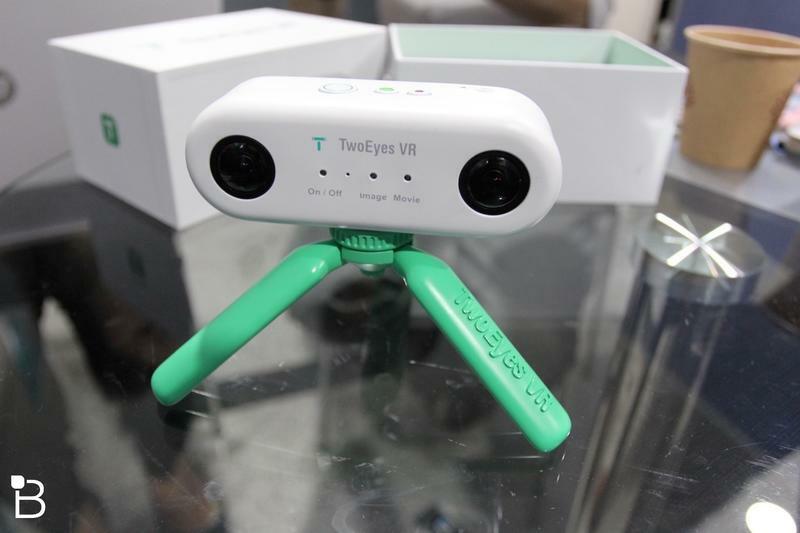 Current solutions to attain 3D VR capabilities require rigs with at least a dozen cameras strapped on to a rig. 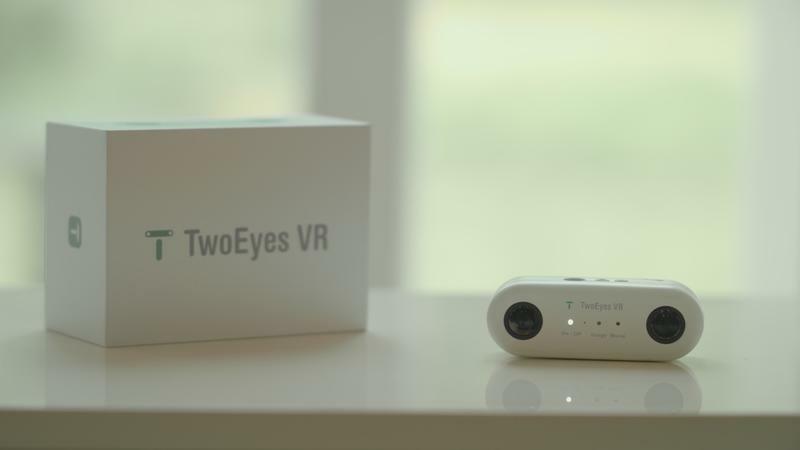 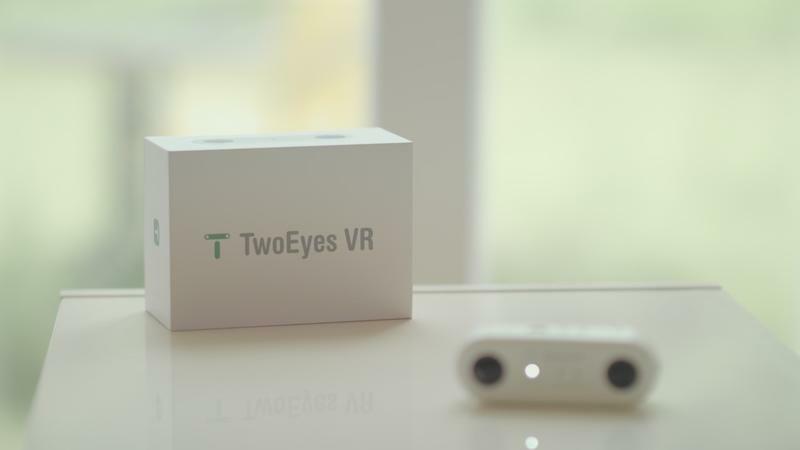 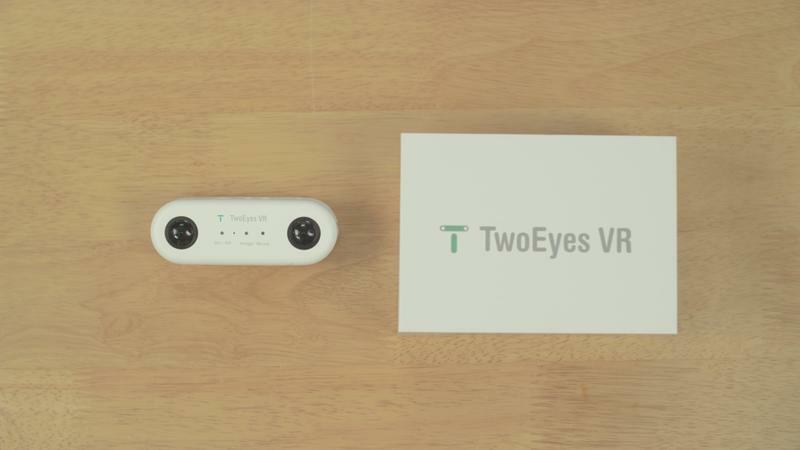 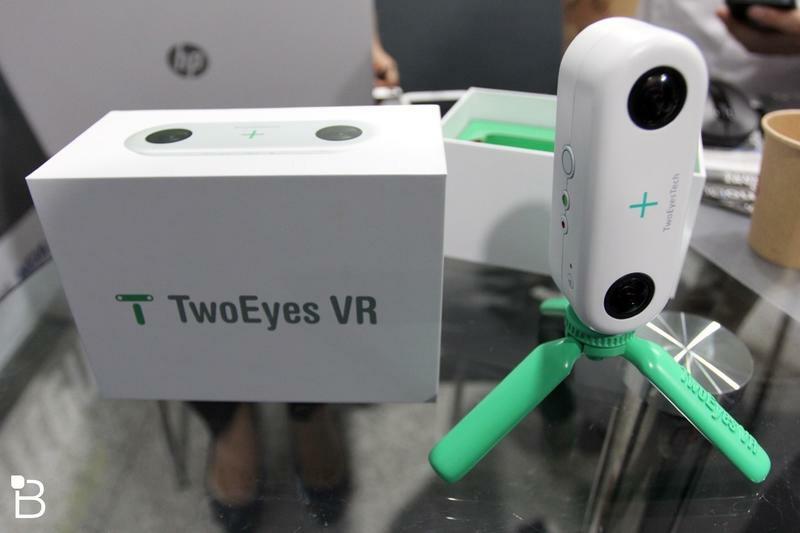 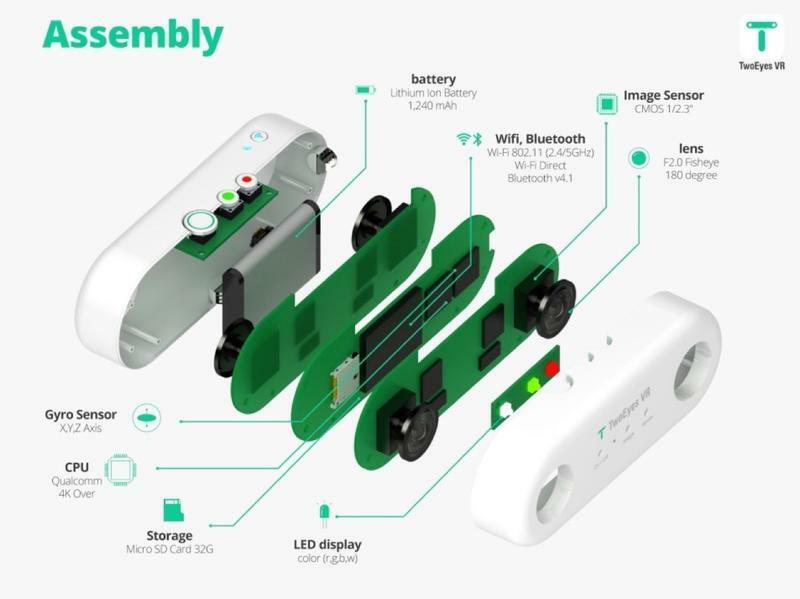 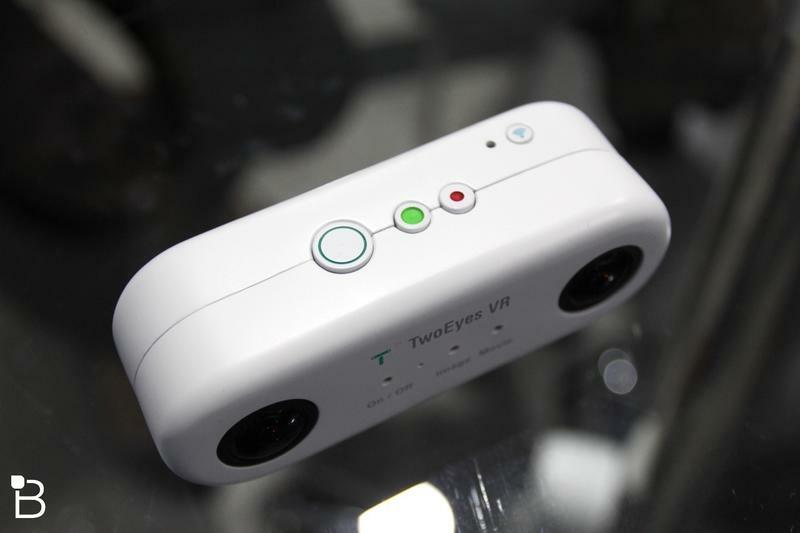 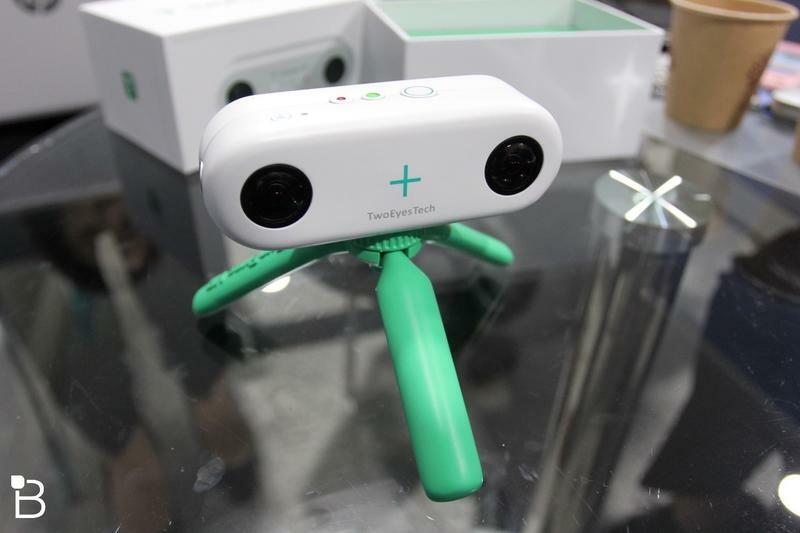 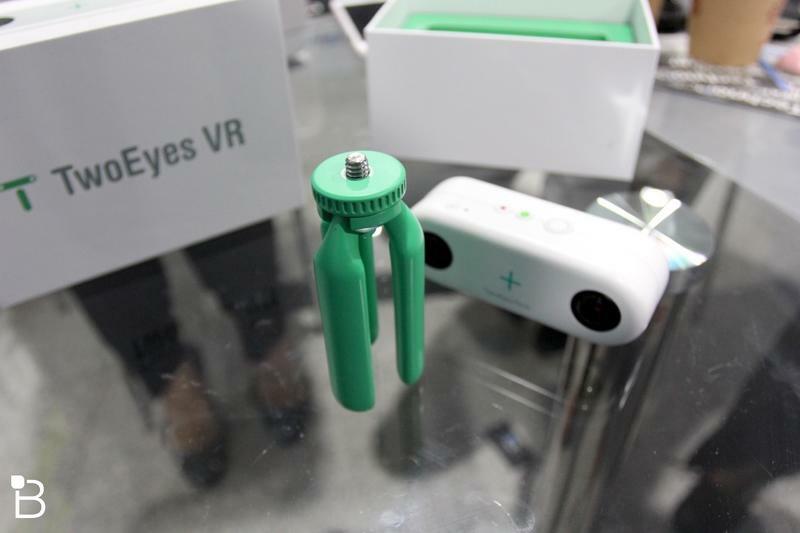 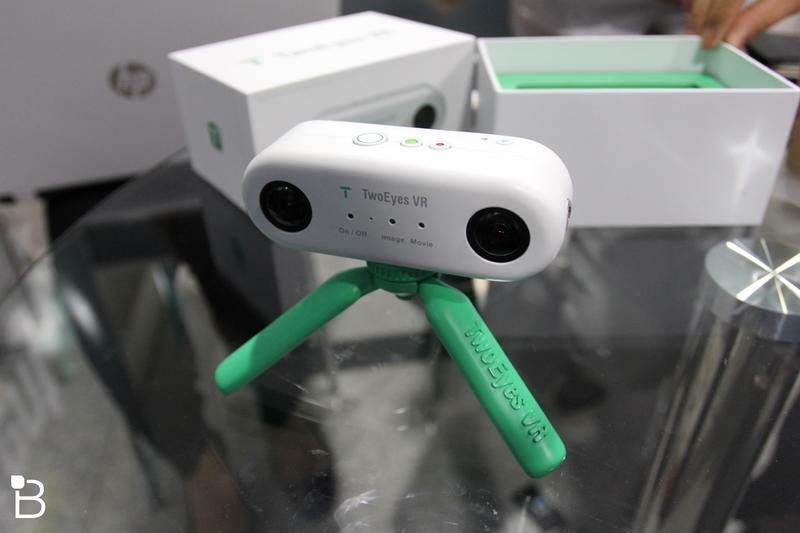 TwoEyes VR aims to democratize that capability with its 4-camera system in a small compact design. 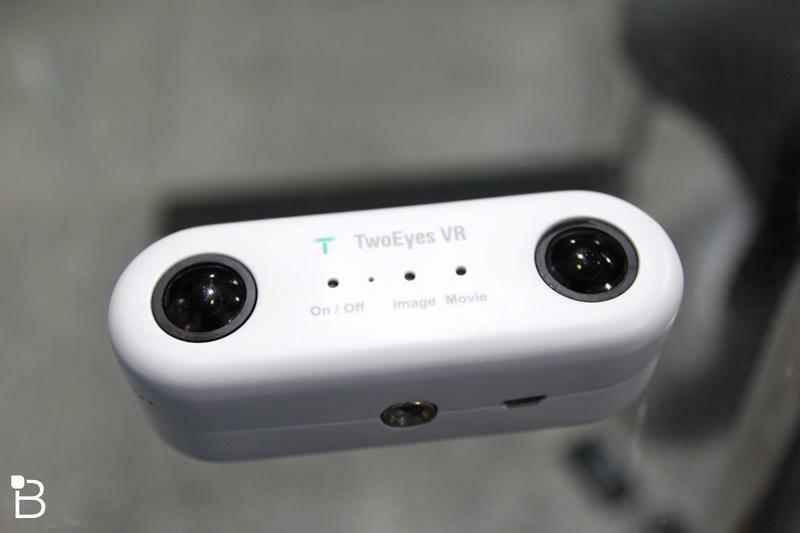 Internally, TwoEyes VR uses a Qualcomm processor, 32 GB storage, a 1,240 mAh lithium ion battery, 802.11 WiFi, Bluetooth 4.1, a CMOS 1/2.3-inch image sensor and four F2.0 180 degree fisheye lenses. 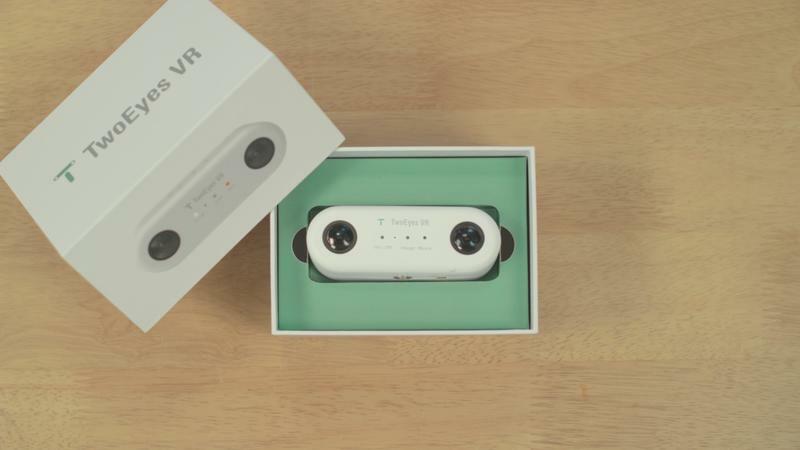 At $399, while a tad more than a Ricoh Theta ($350) and Samsung Gear 360 ($379), you’re also gaining the 3D aspect which makes for a more compelling VR experience. 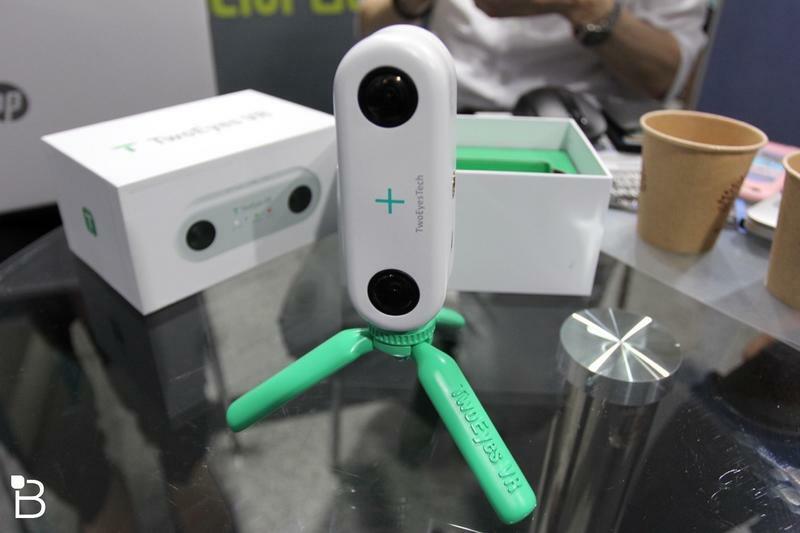 It will also be available with optional cases and a tripod. 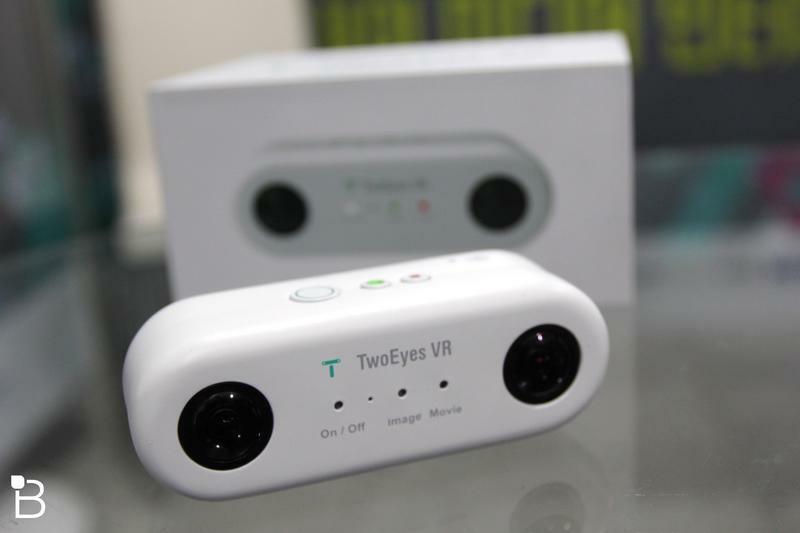 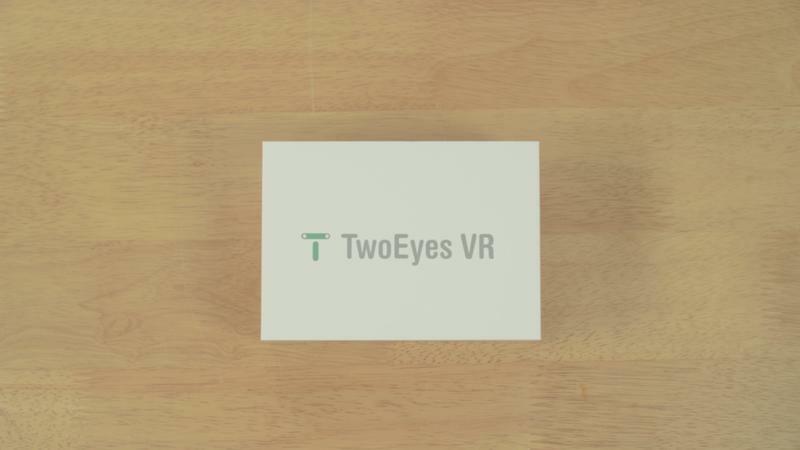 TwoEyes VR is expected to hit IndieGoGo this fall, and we’re told consumers should expect special early bird incentives. 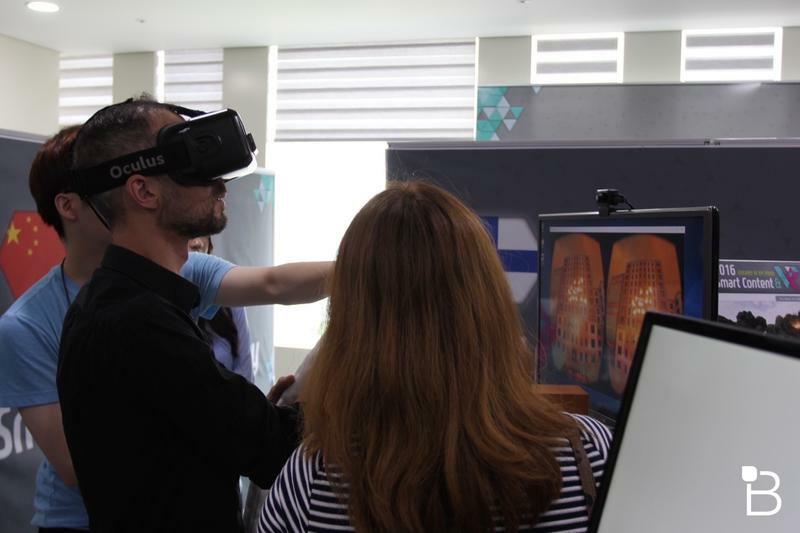 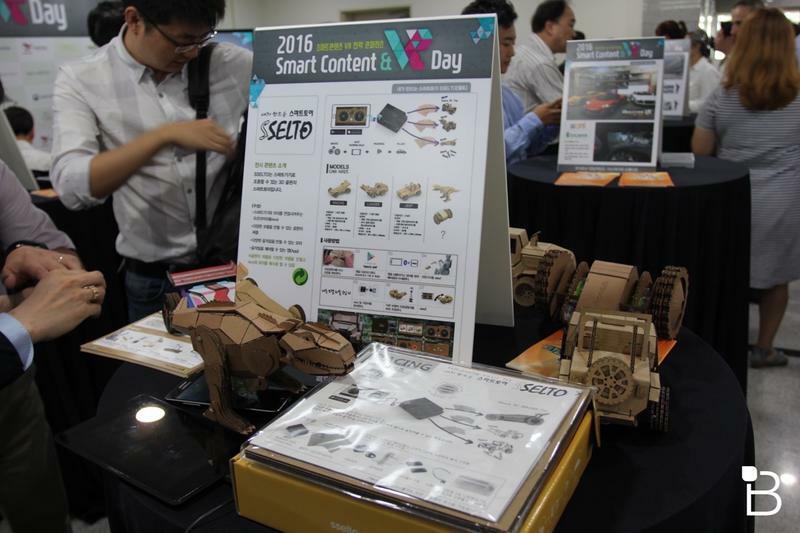 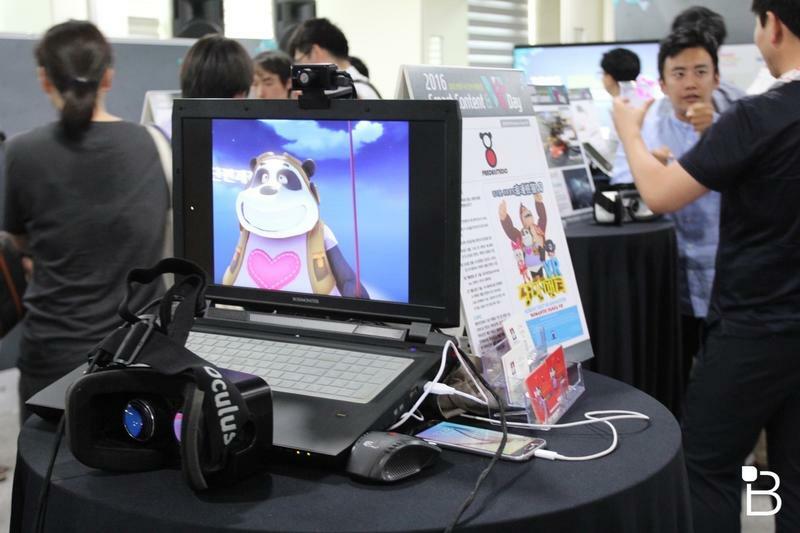 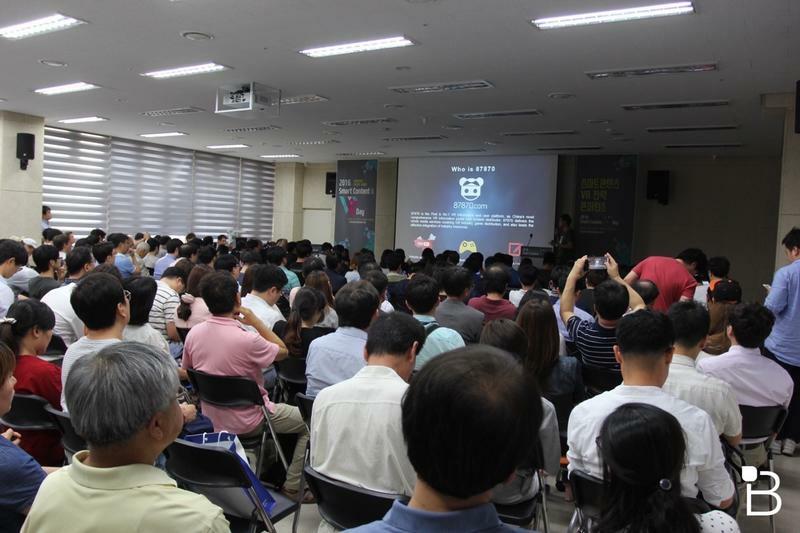 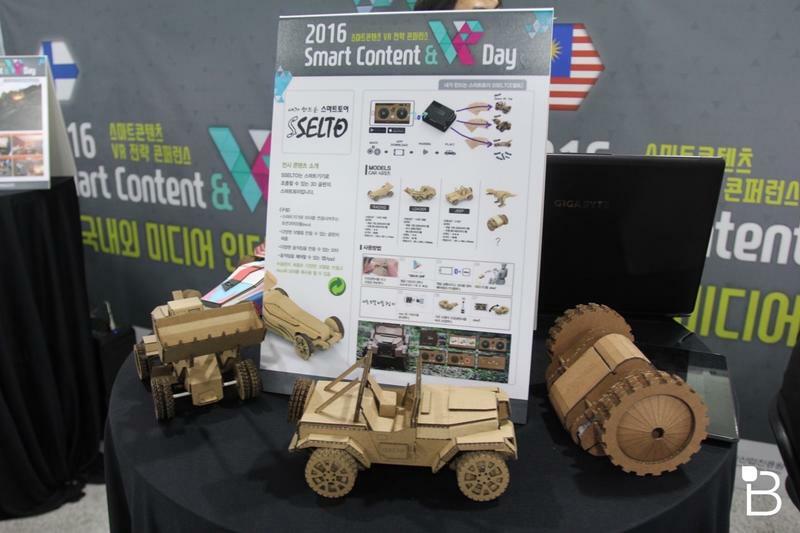 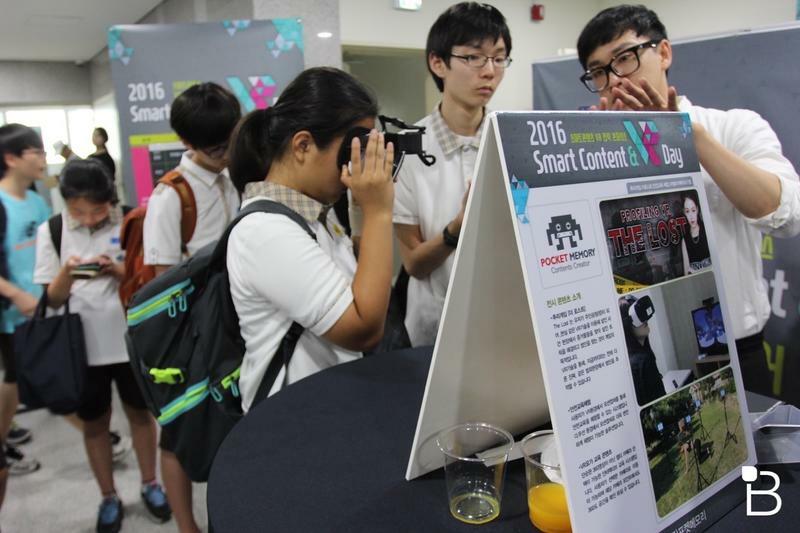 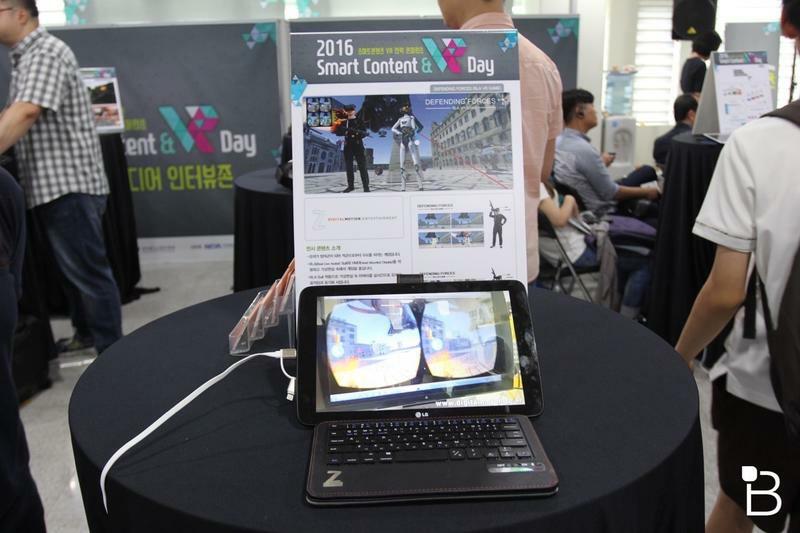 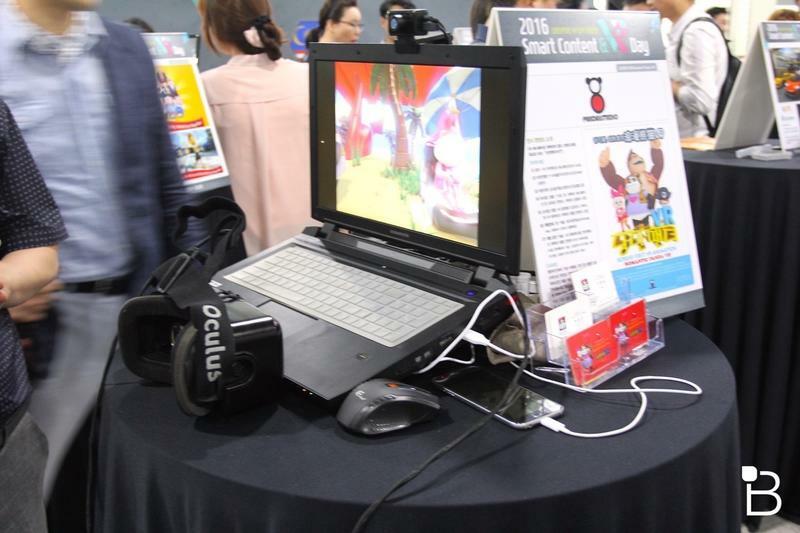 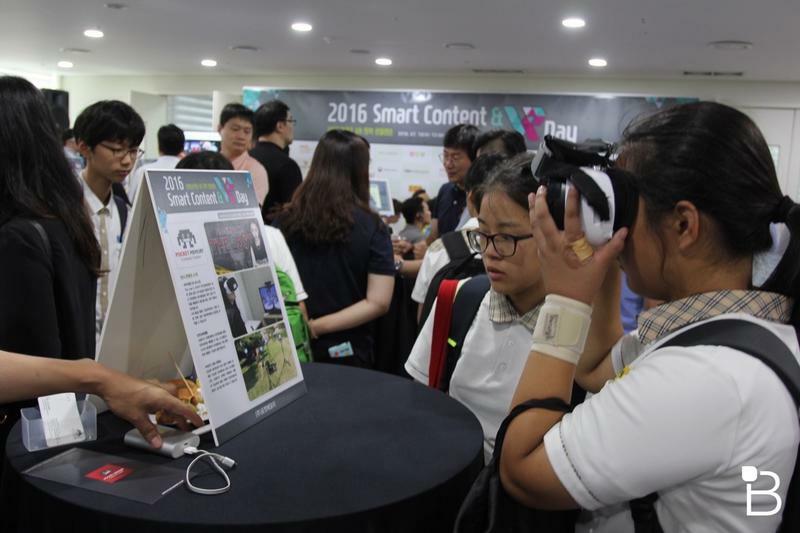 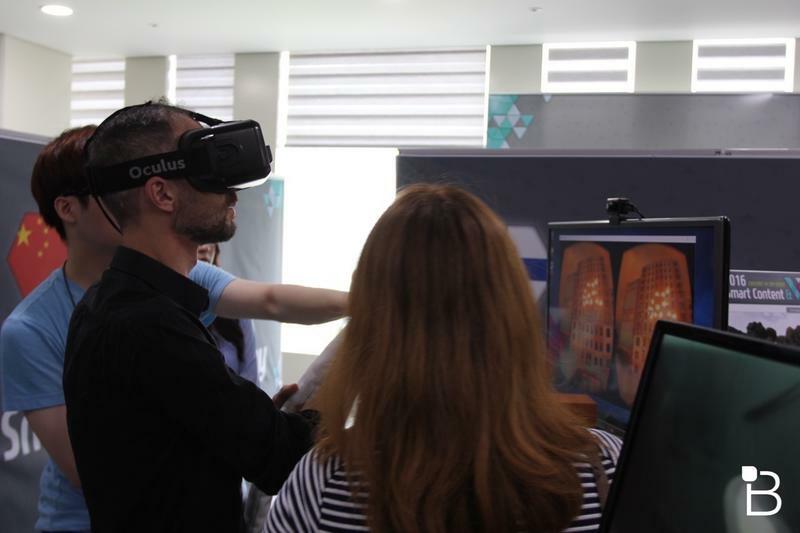 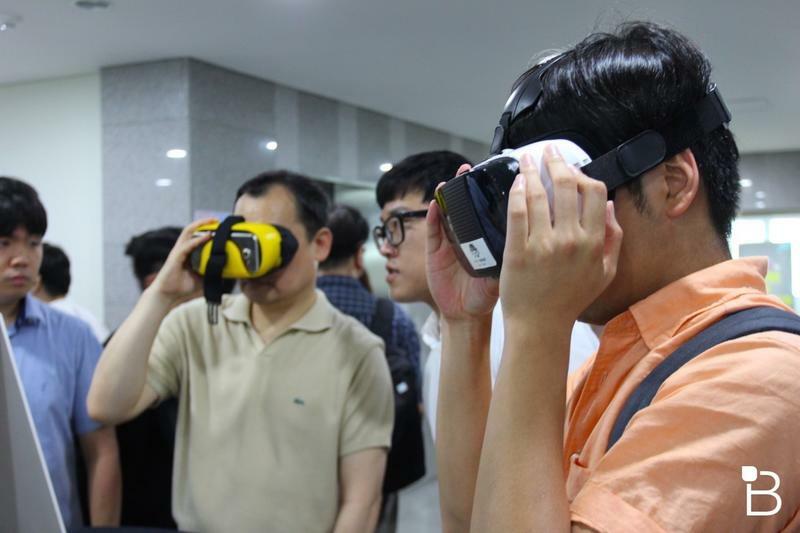 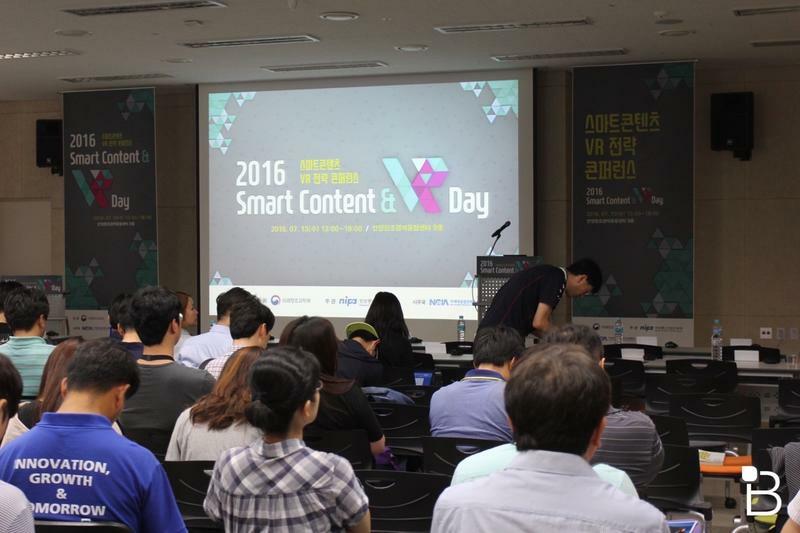 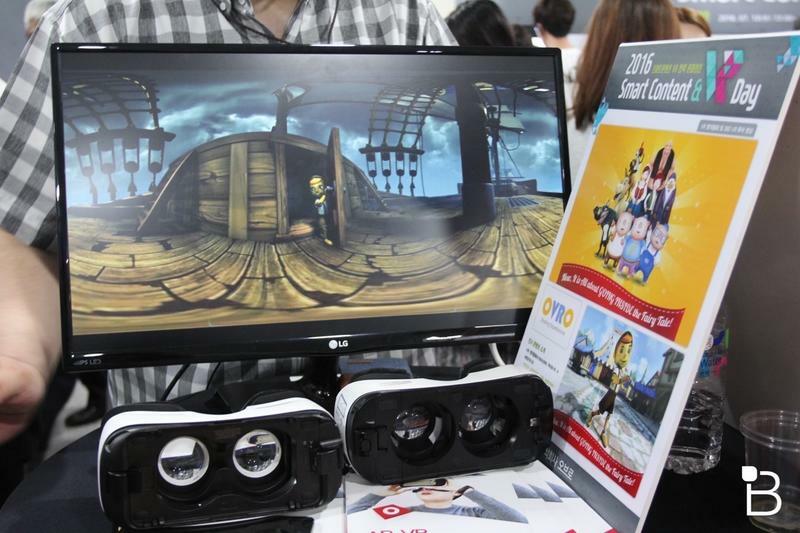 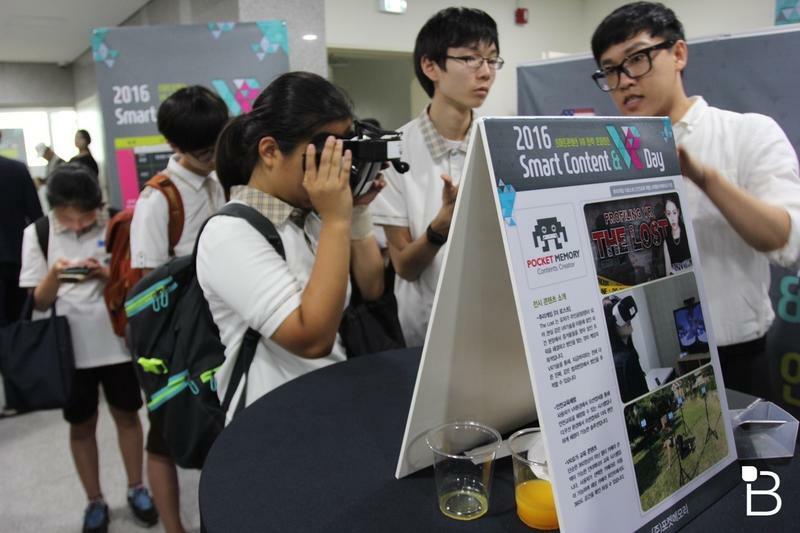 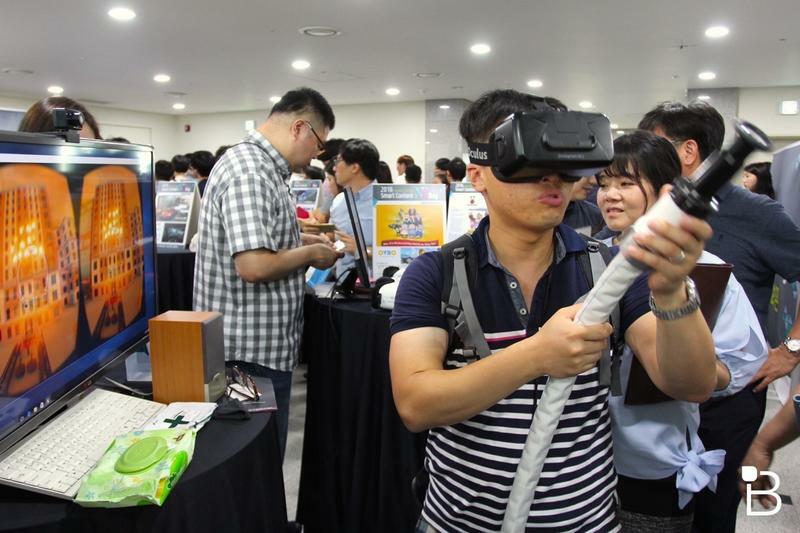 We met with representatives from Arc Interactive at the Smart Content and VR Day event at the Smart Contents Center and Anyang Creative Economy Cooperation Center in Seoul. 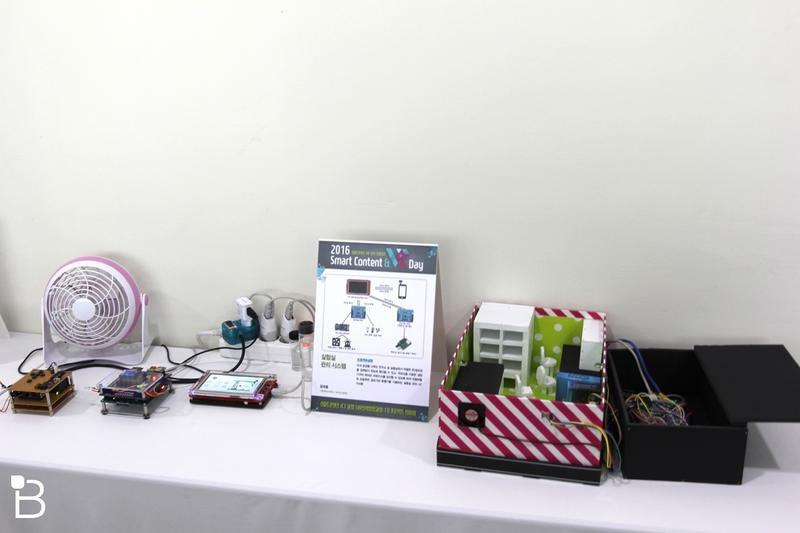 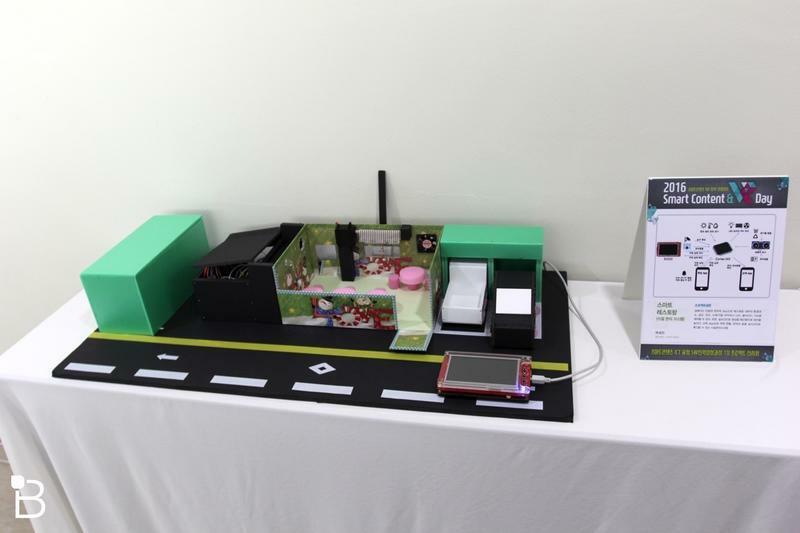 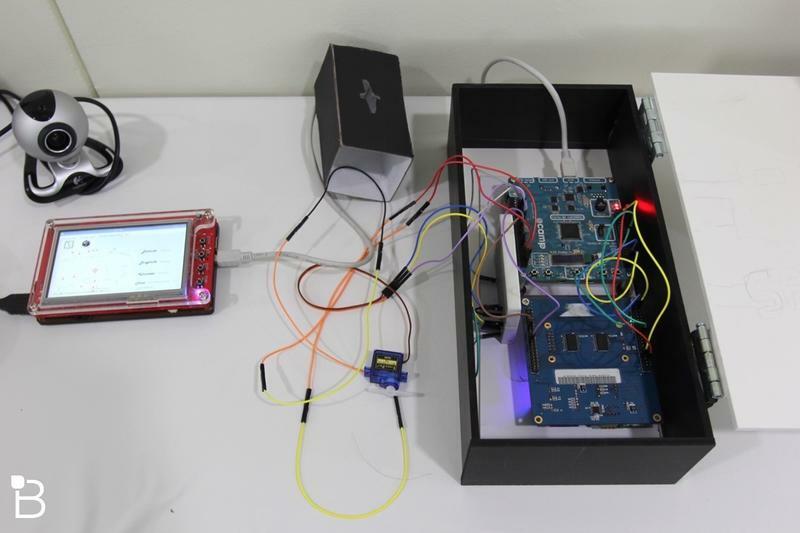 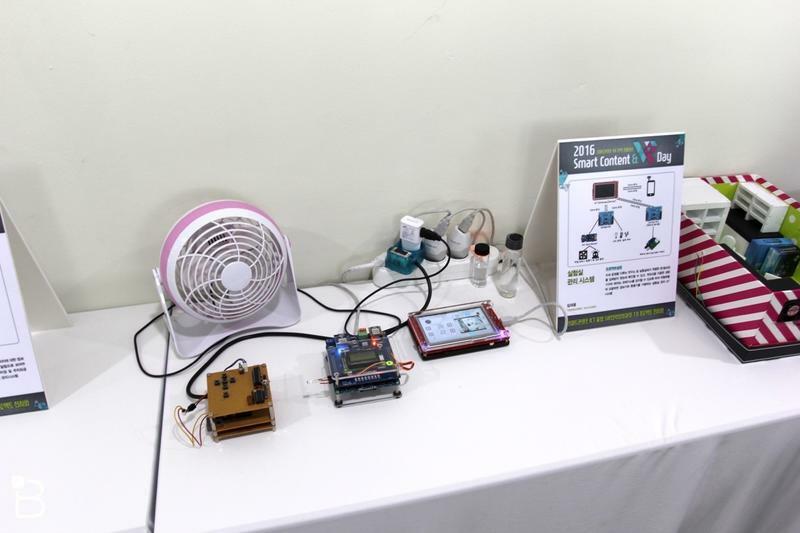 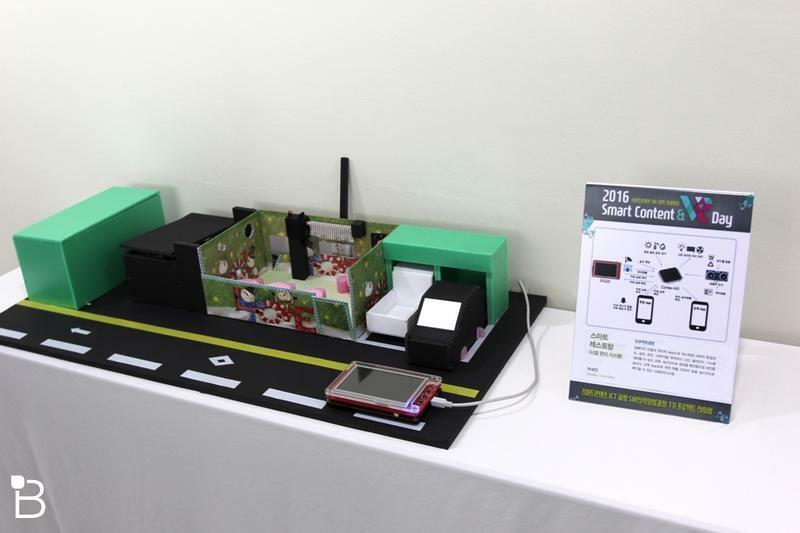 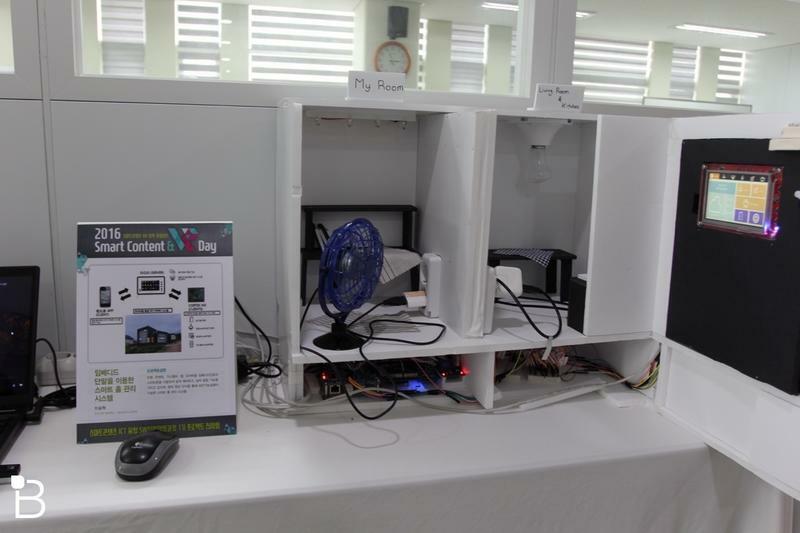 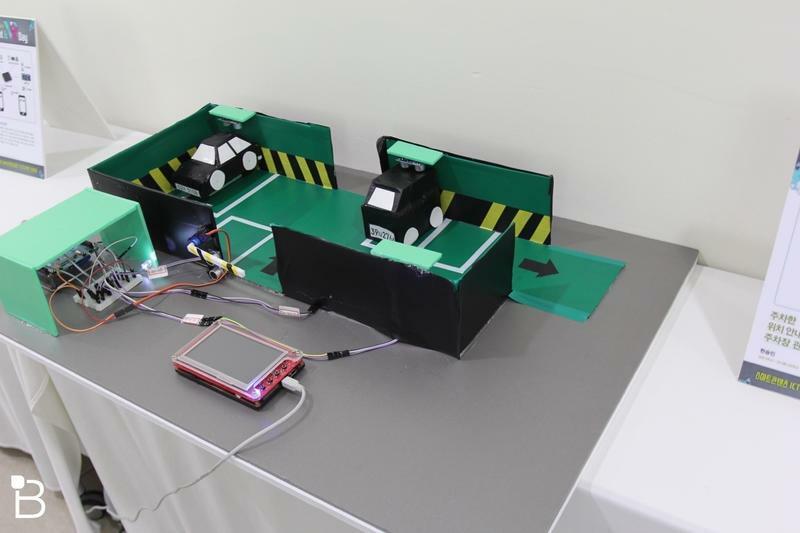 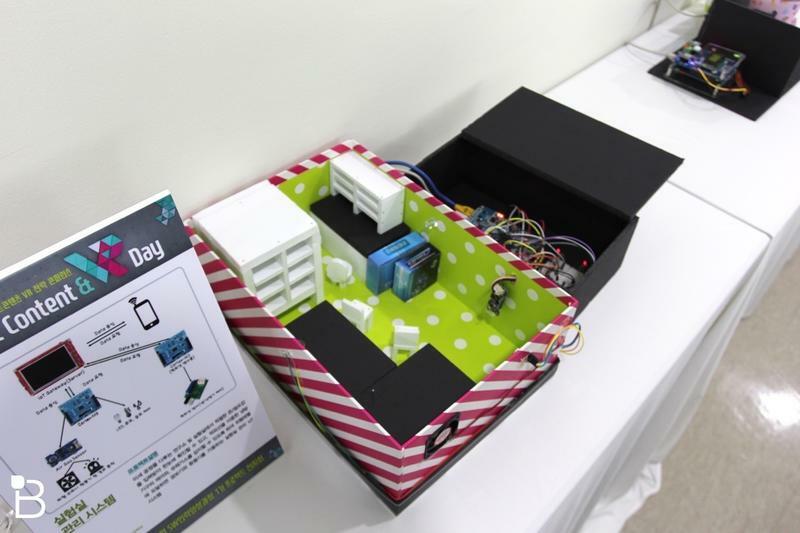 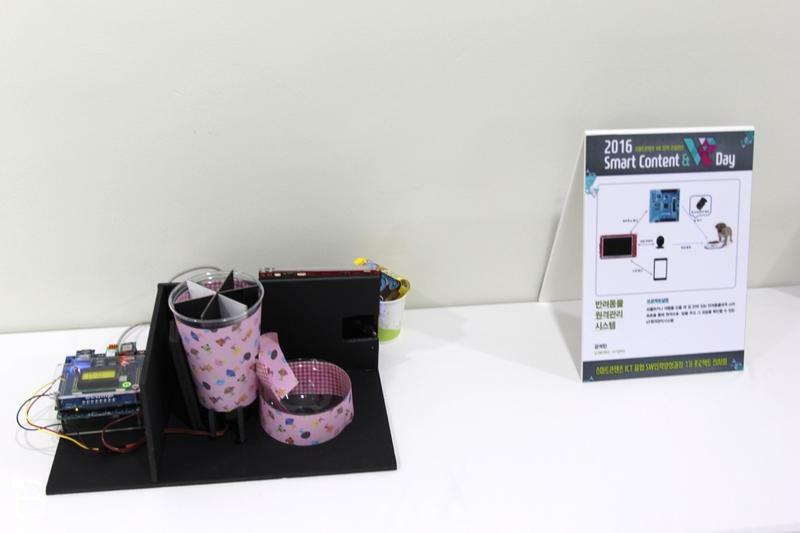 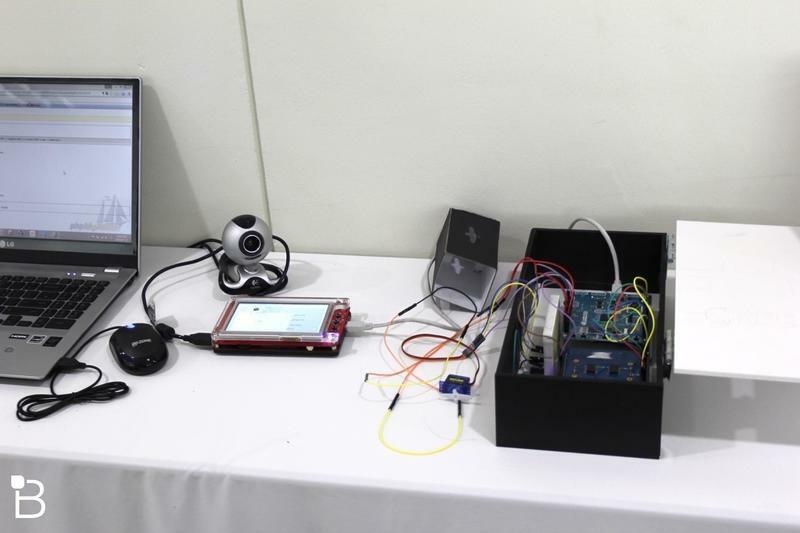 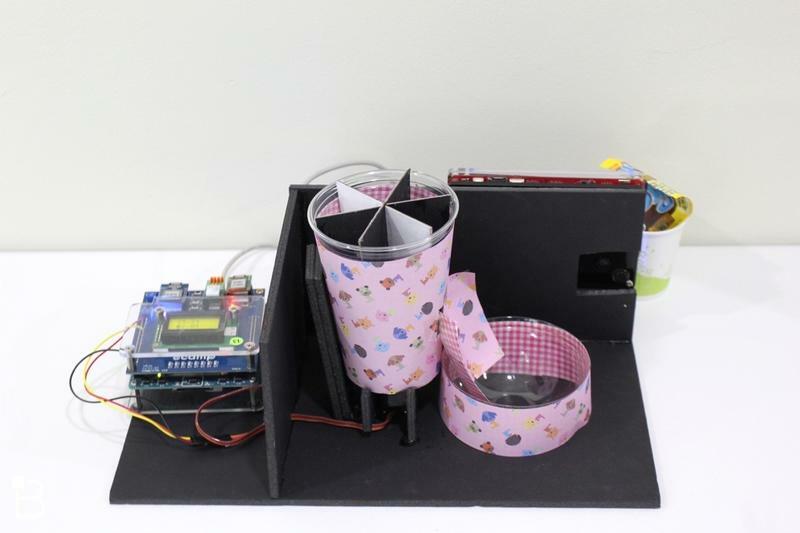 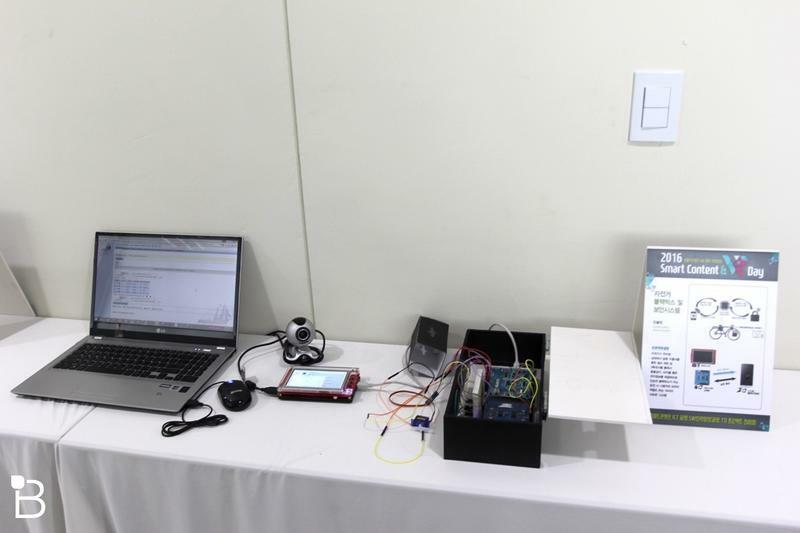 Here are some photos from the event, including smart home appliances/devices that local students have built. 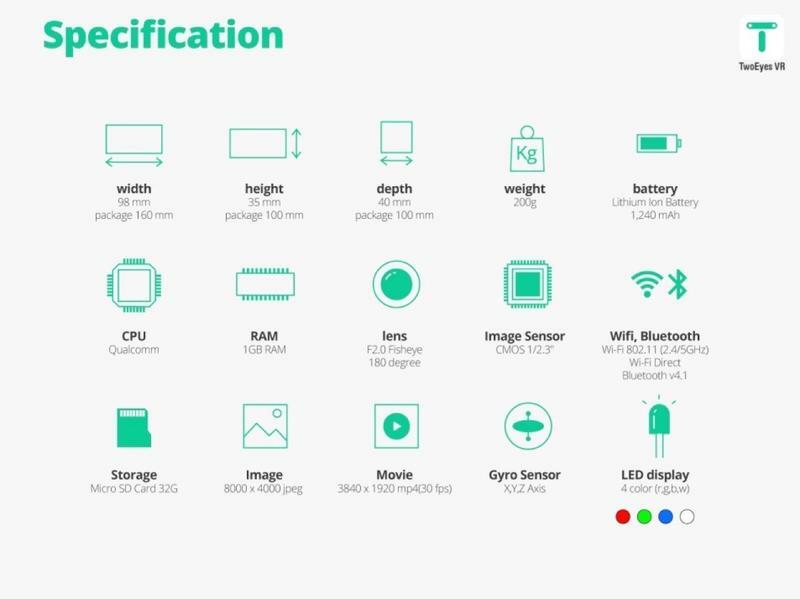 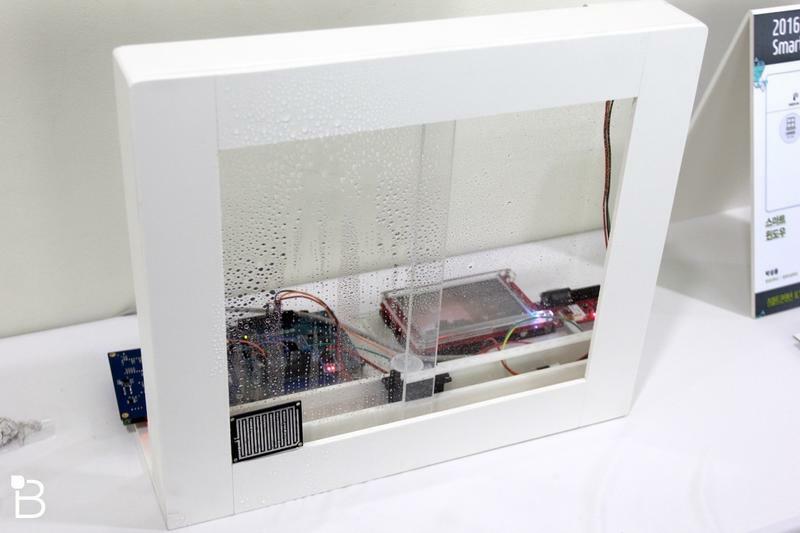 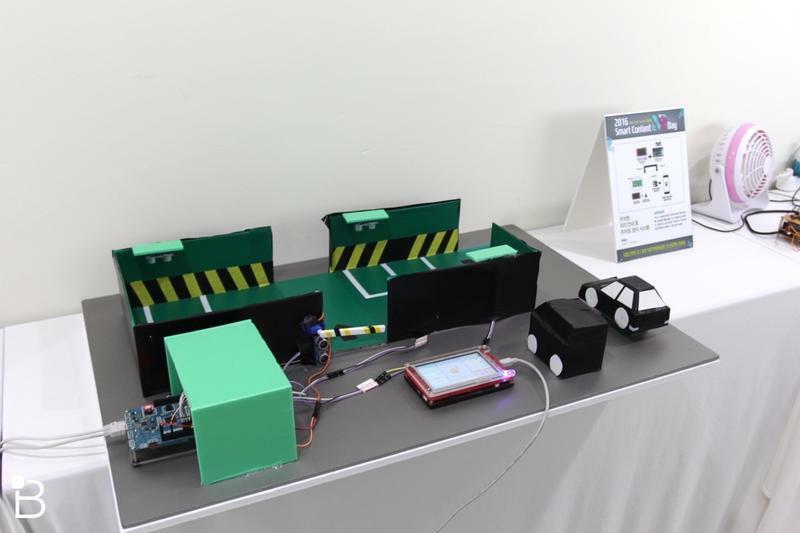 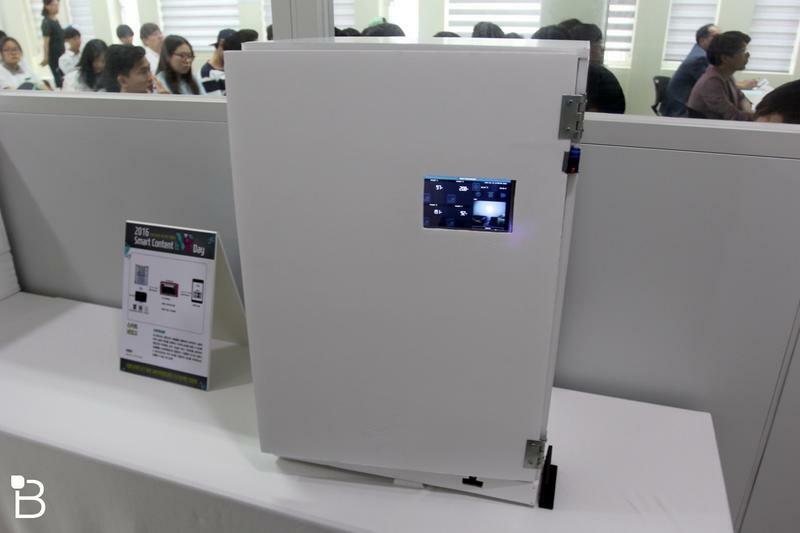 Some of the devices include, smart garage parking systems, smart windows that close when they sense rain and smart refrigerators.